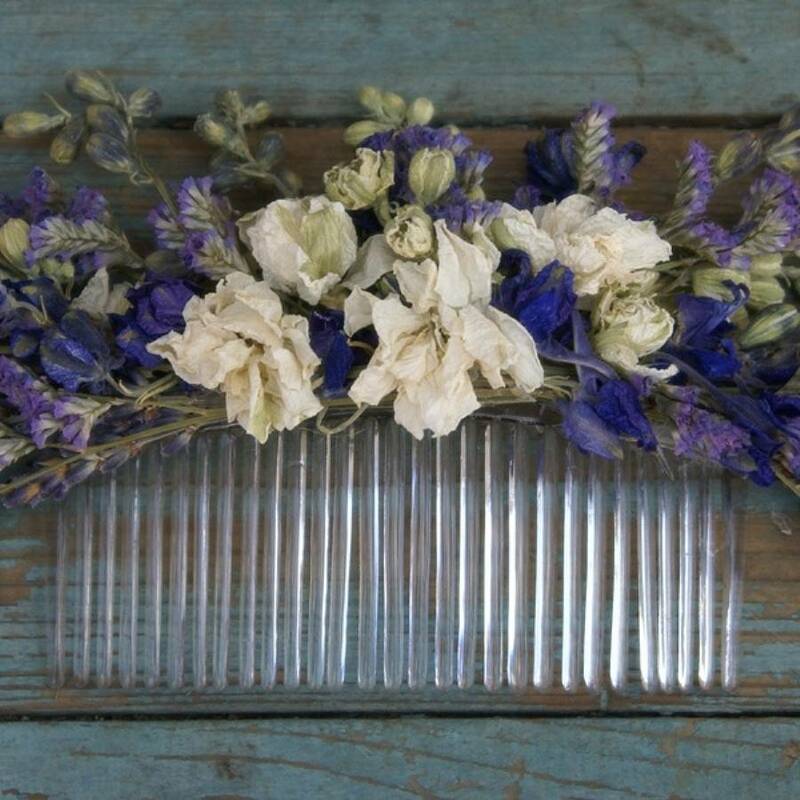 Our rustic, country, dried flower collections are a great alternative for creating a wild, bohemian look to your wedding day. 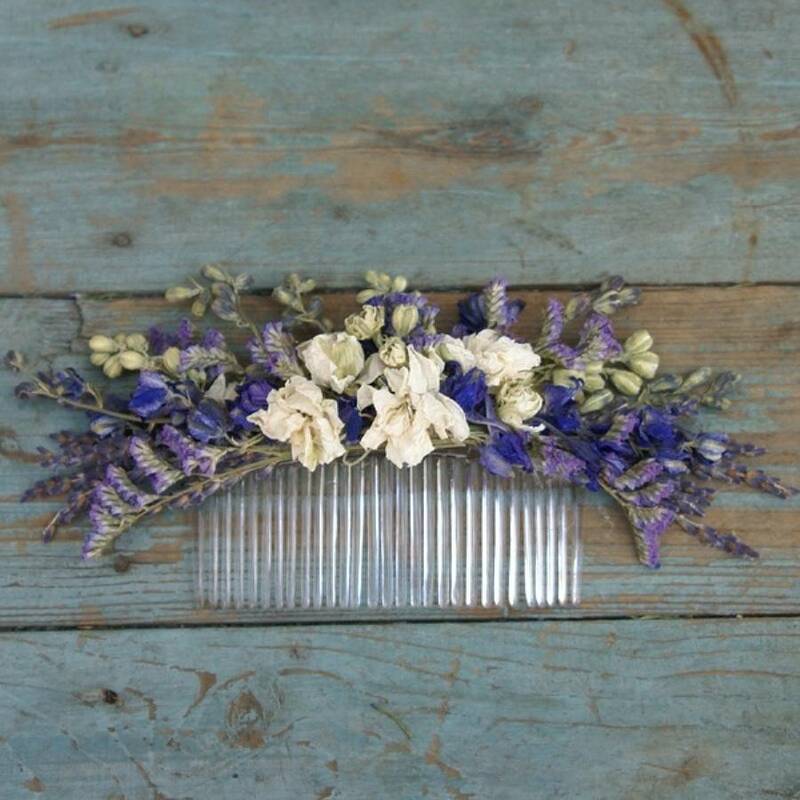 These hair combs are great for weddings abroad and you get to keep them afterwards to either give away as a gift or as a memento of your big day. 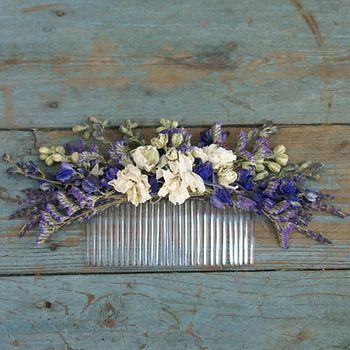 Our Provence Collection also includes matching Bridal Bouquets, Buttonholes and Hair Circlets. All our designs are handmade to order, so please allow on average at least three weeks for dispatch to the UK , which are sent by HERMES/Royal Mail tracked and signed. ( NOTE: we can get booked up very quickly during the Summer months, so orders can take longer to make ). 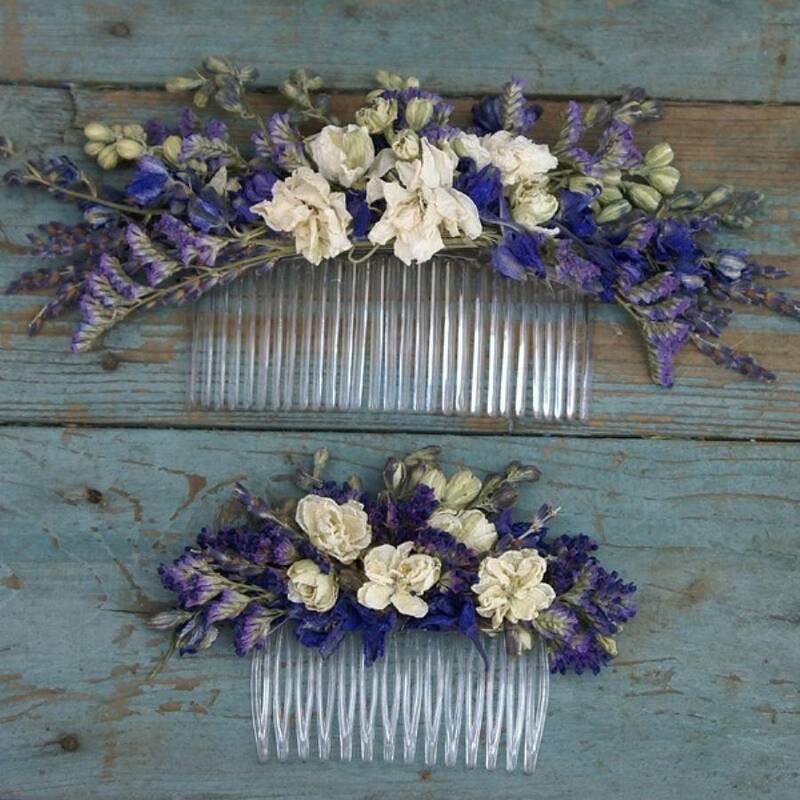 They are available in two sizes..